“One size doesn’t fit all!” Different substrates and surface finishes cannot be treated in one and the same way. 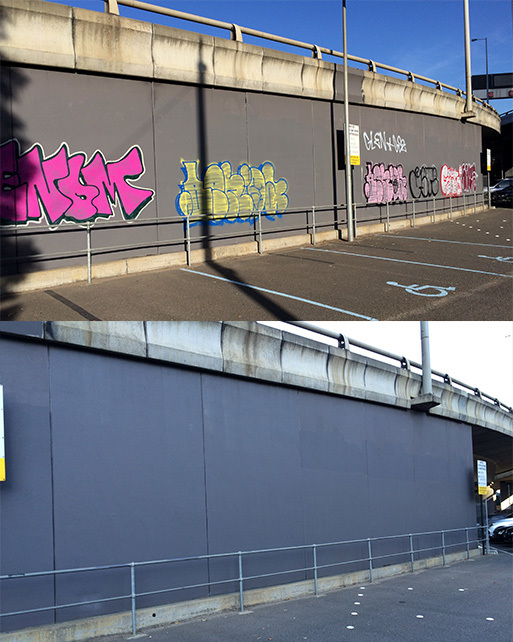 Having successfully applied graffiti coatings over the past 24 years our team understands the need for individual selection on a case-by-case basis. Selection criteria include type of substrate (the material of your facade, for example brick) and its suitability, the need for breathability (eg Heritage facades), any preferences for permanent or sacrificial systems and the final appearance. As Graffiti Wipeout is not bound to any one coatings manufacturer our personnel will make an impartial analysis and recommendation. 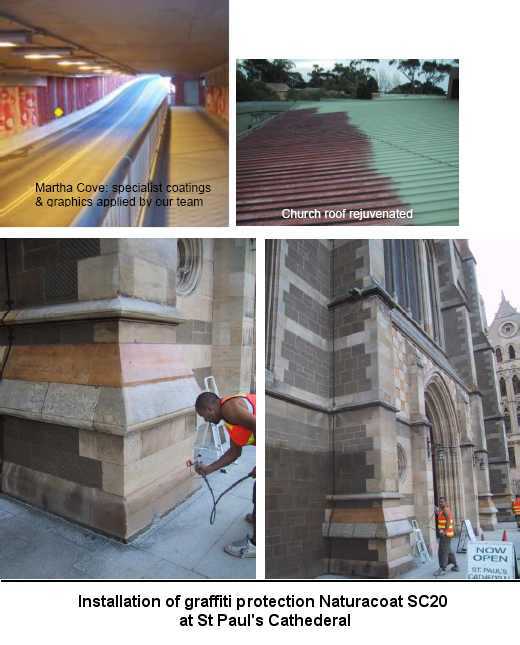 Specialised coating systems including mineral (silicate) paints from FARO Natural Paints & Plasters as well as a range of waterproofing and stone consolidation products from CIT are available (supply only or fully applied). We have DIY Graffiti Kits available for the occasional small graffiti attacks in need of removal: one kit for bare brick & masonry surfaces and another for painted substrates. These Graffiti removal kits are also popular amongst City Councils for distribution to rate payers. The tried and proven Sensitive Surfaces Remover product now comes in the form of a convenient wipe! Economical, easy-to-use wipe-over/wipe-off product for the removal of felt pens, wax crayons, markers and many spray can paints from any surface including painted surfaces without damage. Also great for cleaning paint spills, scuff marks on walls or for surface prep work prior to painting walls. 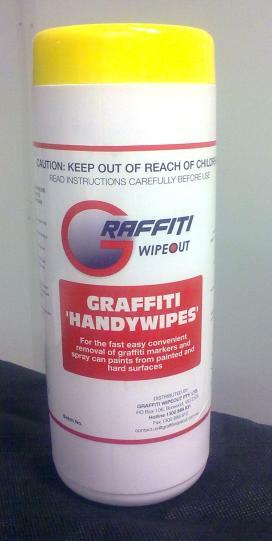 Graffiti Handywipes are ideal for small graffiti attacks or for removing permanent marker pen on white boards, signage or bench tops. Each handy dispenser contains 35 wipes. Sold individually, in boxes of 6 or in cartons of 15.